Are you looking for a Waterside holiday cottage in Cornwall?Then look no further, Ancarva will be just what you want. Step out of the door into the garden andenjoy this unique waterside location. Whilst Ancarva isn’t a traditional Cornish cottage it will certainly notdisappoint you. 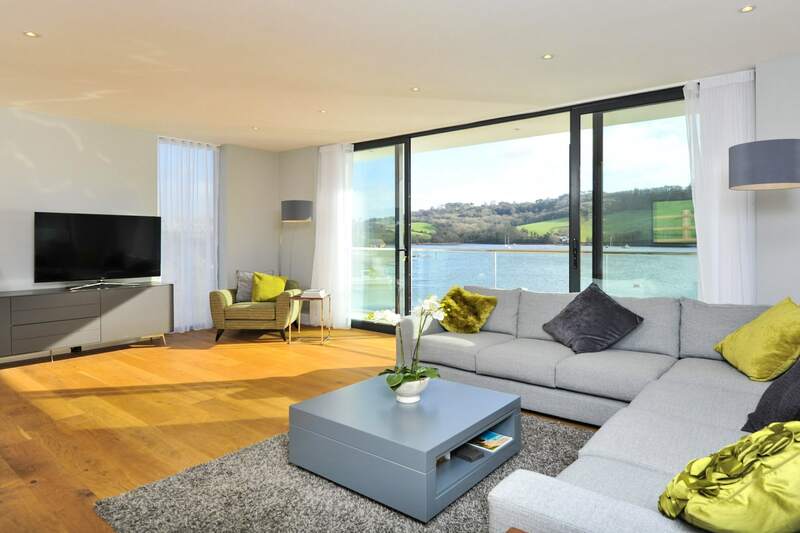 This luxury five-starholiday let is situated directly on the banks of the Tamar estuary and is yourperfect waterside holiday location. If you love sailing or Kayaking, then look no further. Ancarva comes with the use of its own privatepontoon where you can moor your boat or simply fish with the children. Our children spend hours crab fishing off thepontoon whilst we sit and watch, sipping a cool beer or glass of wine. Ancarva has about 80m of direct water frontage making it theperfect waterside holiday location. Sitting on the covered terrace you can take in the beautiful scenery andwatch the wildlife come and go with each changing tide. The view from the terrace across the watertoward Mount Edgecumbe is breath-taking and you can often see deer grazing onthe hillside in the distance. We visited Cornwall for many years before we purchasedAncarva and always looked to stay in properties close to the water. Rarely did we find anywhere on the water'sedge which was so peaceful and yet still had all the facilities close by whichyou need for a fantastic holiday. If youdecide to come a stay in this unique location, I am sure you will fall in lovewith it just as we did. Ancarva reallyhas the best of all worlds as its sits right on the banks of the river Tamar ina truly unique waterside setting yet it is with 2 miles of the fantasticbeaches at Whitsand Bay. Kayaks and small craft can be launched off the pontoon butIf you're planning on bringing your dinghy with you then there are launchingfacilities at the local boat yard. Thepontoon will provide a safe mooring for small craft although the tidal lakedoes dry out at low tide. There areseveral charter firms in Plymouth if you’re looking for something a little moreadventurous.